Valiant is proud to announce that it is cutting the price of the upcoming trade paperback volumes collecting the four series that launched the “Summer of Valiant” – X-O Manowar, Harbinger, Bloodshot, and Archer & Armstrong – to the special introductory price of $9.99! Due to popular demand, each of Valiant’s previously solicited trade paperback collections will be joining X-O Manowar Vol. 1: By The Sword TPB by Robert Venditti and Cary Nord – on sale December 5th – at the $9.99 price point. With one collection hitting stores each month through March, this is the perfect entry point into the new Valiant Universe, the critically acclaimed comic book relaunch of 2012! Four series. Four months. Four all-new entry points into the superhero universe that has everyone talking. Featuring work from some of the industry’s leading talents, find out why Valiant has topped the charts and won over a legion of fans and critics worldwide with the X-O Manowar Vol. 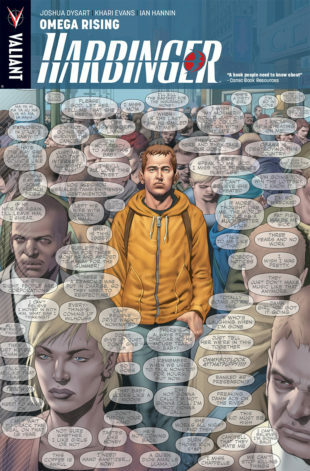 1: By The Sword TPB, Harbinger Vol. 1: Omega Rising TPB, Bloodshot Vol. 1: Setting The World On Fire TPB, and Archer & Armstrong Vol. 1: The Michelangelo Code TPB – on sale in finer comic shops everywhere this winter!